The Calgary Stampeders added to their depth at quarterback on Tuesday, announcing the signing of international QB Montell Cozart. 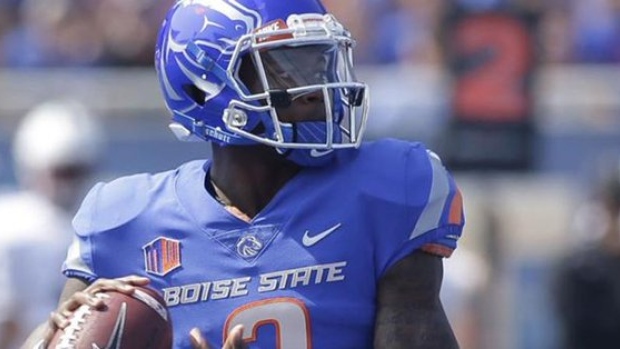 Cozart played his senior season at Boise State, completing 61 of 97 passes for 754 yards and 10 touchdowns while backing up starter Brett Rypien. Cozart started his career at Kansas, playing 27 games over four seasons. The Stamps also announced Tuesday that they have released quarterback Larry Brihm Jr., who dressed in six games but did not see action in any of them. Calgary (7-0) will be back in action Sunday night when they visit Mosaic Stadium to take on the Saskatchewan Roughriders (3-4).